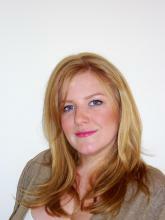 Amy Woodward joins the ERIE team as the Research Project Officer. Her background is in Psychology, specialising in Applied Psychology while obtaining her undergraduate degree from the University of Brighton. Amy has several years experience of co-ordinating large scale projects including the design and management of recruitment strategies for several international corporations, as well as driving the 'People Strategy' forward for a leading social housing organisation.